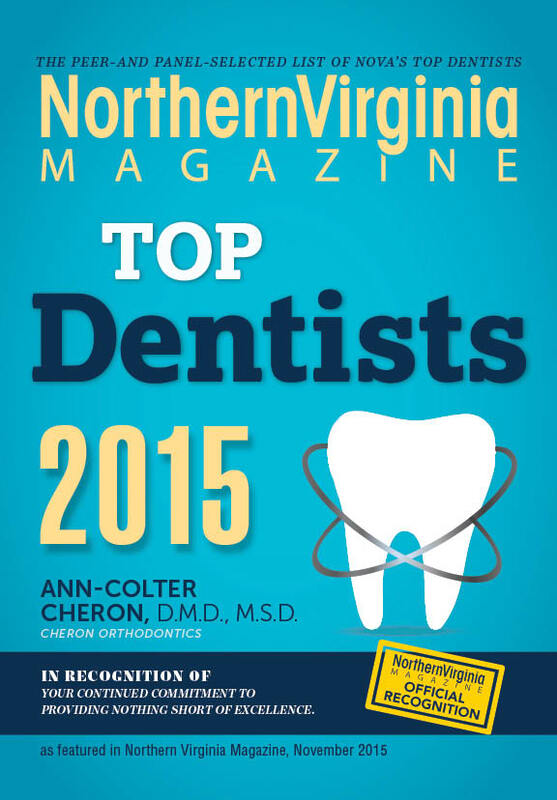 Dr. Ann-Colter Cheron creates healthy, beautiful smiles in Centreville. Having a radiant, natural smile is one of the best things you can do for your self-esteem. A beaming smile can help break down walls socially and professionally. 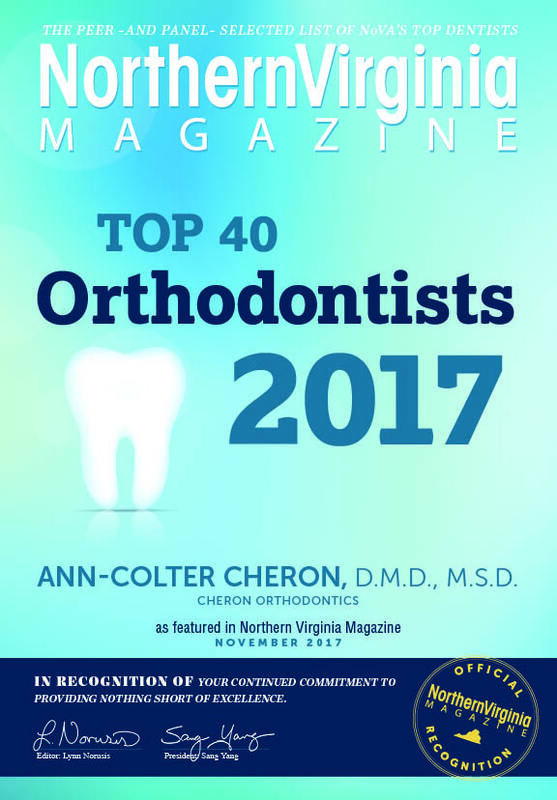 Cheron Orthodontics is located just a few minutes outside of Washington D.C. in Centreville, VA. We are a premier orthodontic team that specializes in improving your smile and boosting confidence in a fun and friendly environment. We offer technologically advanced treatment options such as Invisalign, Invisalign Teen, and 3D impressions in a state-of-the-art office. 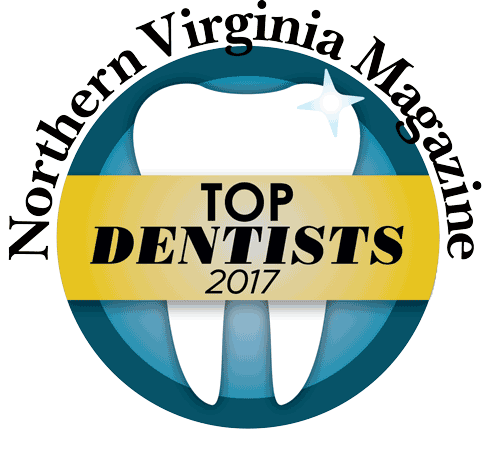 We proudly serve the Centreville area including Chantilly, Clifton, Manassas, Manassas Park, Fairfax, Burke, Fair Oaks, Fair Lakes, and South Riding. Think you're too old for braces? Invisalign® takes a modern approach to straightening teeth, using a custom-made series of aligners created for you and only you. These aligner trays are made of smooth, comfortable and virtually invisible plastic that you wear over your teeth. Wearing the aligners will gradually and gently shift your teeth into place, based on the exact movements Dr. Cheron plans out for you. There are no metal brackets to attach and no wires to tighten. You just pop in a new set of aligners approximately every two weeks, until your treatment is complete. You’ll achieve a great smile with little interference in your daily life. The best part about the whole process is that most people won’t even know you’re straightening your teeth. 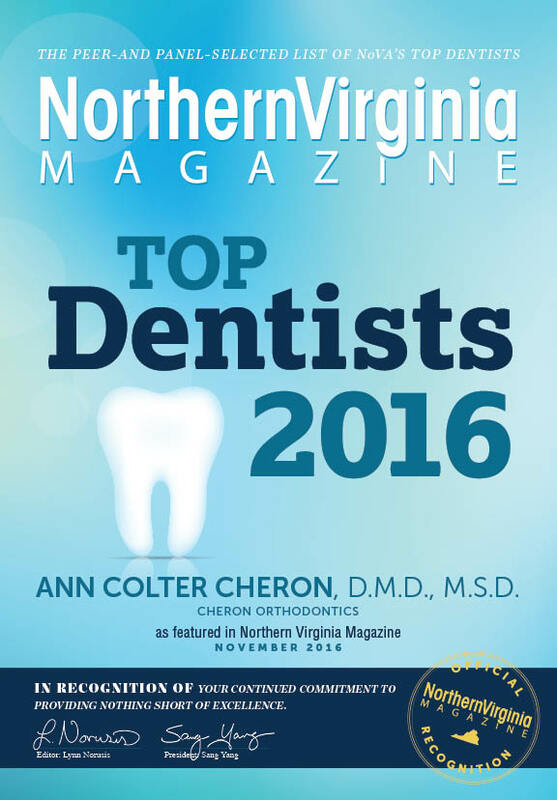 Call today to schedule an appointment to see if Invisalign is right for you!